Gamers pouring through the Fortnite v8.30 upgrade have found an indication that makes it seem as if airplanes could be returning to the game. A leaked challenge file that was added in the update has text that says “destroy biplanes.” The thought is that the text means aircraft are returning. That is the only instance of aircraft being mentioned in the game. 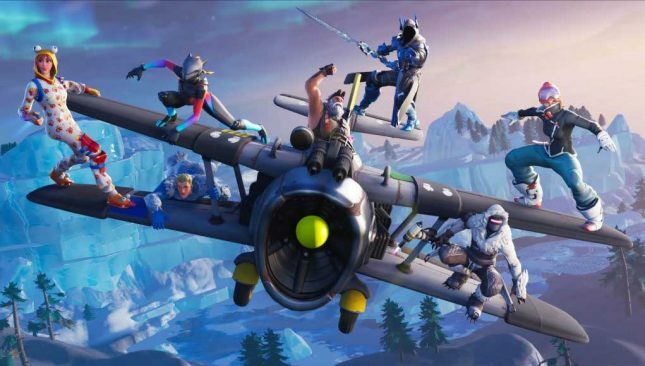 Speculation is that the airplanes might be coming back to the main game since Fortnite has arena mode for competitive play. Rumors suggest that planes will be part of one of the week eight challenges. Past leaks tipped a fuel warning icon that suggests the aircraft will have a fuel meter and that fuel will somehow figure into the game reports FortniteIntel. Having a fuel gauge would prevent people from simply taking off in an airplane and circling until later stages of the match to let the competition thin themselves out. There is no indication of when the planes might surface in the game.